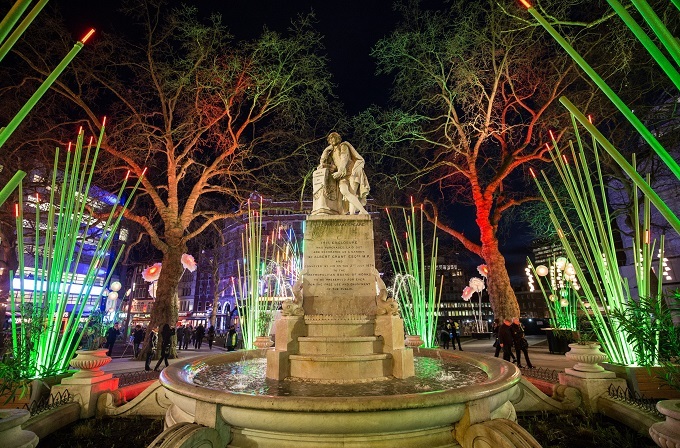 London’s West End is hosting the UKs largest light festival, Lumiere London, which opens today, 18th January and runs until Sunday 21st January 2018. Inevitability cities often look a little dull once the Christmas lights have been taken down. However, this January London will be looking bright and visitors can get rid of the post-Christmas blues by visiting London’s biggest, brightest event. More than 16 UK and international artists have created over 50 artworks that will transform some of the most iconic and celebrated landmarks, streets and locations into a vast outdoor nocturnal art exhibition. 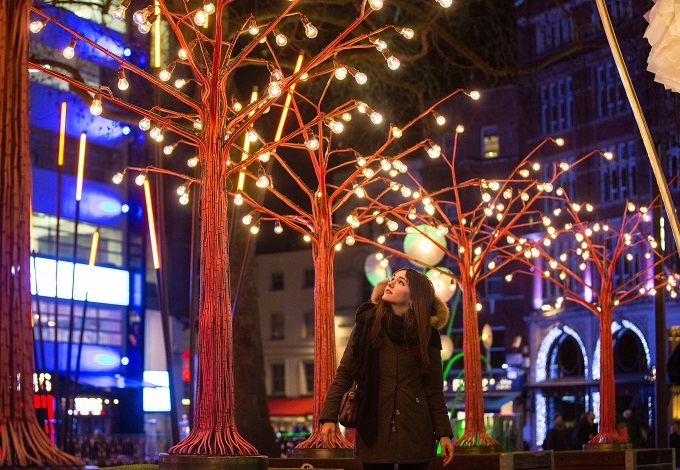 Installations will be scattered across various famous locations in the West End, including Picadilly, St James’s, and Leicester Square Gardens. As well as getting the opportunity to witness some of the area’s most historic landmarks in a dazzling new light, visitors and Londoners will be able to sample a host of other activities taking place in the area throughout January. Many restaurants, bars and hotels, as well as tourist attractions are hosting special offers and events to celebrate Lumiere London.